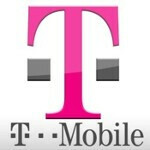 T-Mobile to offer some LTE-A features before the end of this year? Some T-Mobile customers have something to look forward to before this year is out. So says the carrier's Dave Mayo, who has the title of senior VP of technology, strategy, finance and development (can you imagine his business card?). According to the executive, T-Mobile will be "rolling out LTE-advanced features later this year." While Mayo wouldn't reveal what features he was talking about, T-Mobile could be thinking about carrier aggregation which is a way to put together two separate radio channels to get faster speeds. T-Mobile could be considering this considering that it uses both AWS and PCS spectrum. Known as 2×2 multiple input, multiple output, or MIMO for short, Mayo gave away a little clue when he said that "a few" of T-Mobile's antennas will be upgraded to MIMO this year. Meanwhile, the nation's fourth largest carrier, fresh off its acquisition of MetroPCS, is upgrading 37,000 of its 52,000 cell sites. T-Mobile is adding 3Db more of gain to provide its customers with a stronger signal. A published report earlier this year gave away what was allegedly T-Mobile's plan to update its LTE network to 4x2 MIMO which means more signals come into your smartphone and more antennas pick up the weaker signals that come back from your phone. Stronger signals and faster data speeds for its customers seem to be what T-Mobile has in mind for its subscribers starting this year. Isn't that what all smartphone users want? Oh i see what you guys did here "TM"...smart move.